The original FreeLoader is one of the most popular products here at EthicalSuperstore, and judging by the amount of customer queries we receive about it, you’re all keen to harness the power of the sun for your charging needs. However, with ever changing charging platforms and fancy new gadgets launching every week, it’s hard to keep up with the FreeLoader’s compatibility with your devices (and as I’m a Product Information Assistant it was starting to get to me!). Well, the answer to all of your questions (and mine!) is here. 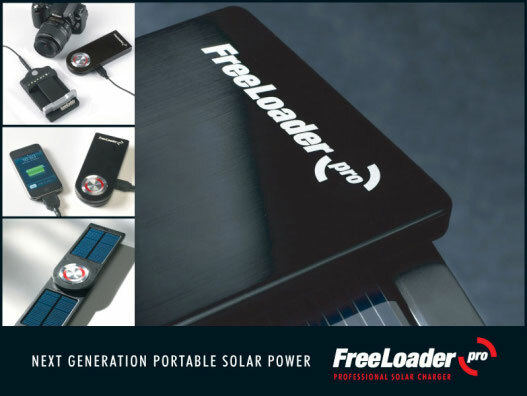 The FreeLoader Pro is the ultimate, professional solar charger capable of charging your most power hungry, energy sapping gadgets and devices. With a Multi Voltage switch allowing you to charge anything from your mobile phone and mp3 player right through to a digital SLR and video camera, it’s this years must-have green gadget for any tech-geek, eco-warrior, or light-stepping adventurer. Q: Will the FreeLoader Pro charge my iPhone 3G? Q: Can I charge my digital camera battery with the FreeLoader Pro? Q: Does the FreeLoader Pro have a battery level indicator? Let’s just hope all of the products we stock don’t follow in the FreeLoader’s footsteps; ticking all of the boxes and answering all of your questions right out of the box, otherwise I might find myself out of a job! Next story Healthy Tan? Organic and Ethical Sun Care explored. Previous story Ethical Beauty – Who’s The Fairest Of Them All…?